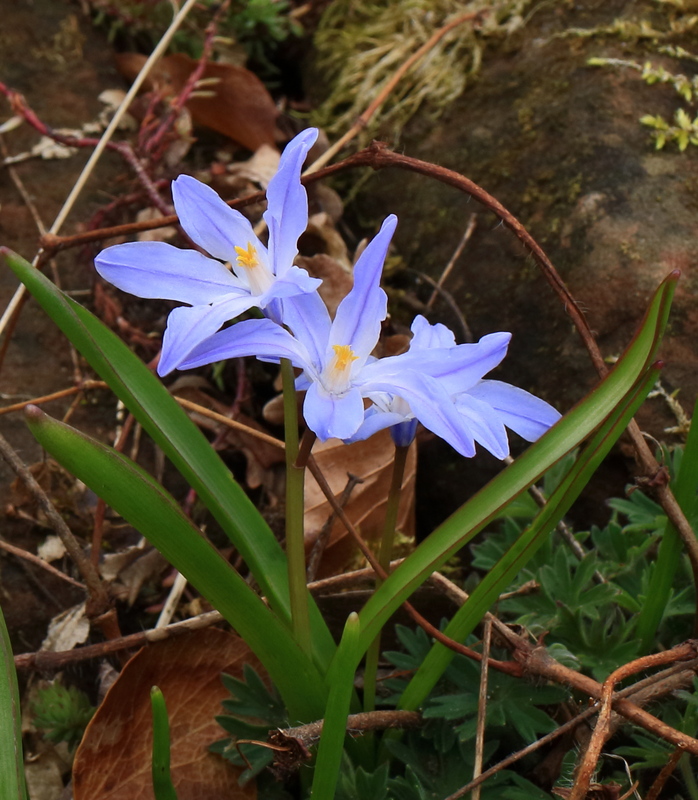 ‘Chionodoxa’: such an evocative word (Greek: Glory of the Snow), it seems a shame that the genus is now generally subsumed in Scilla – by botanists, if not yet by horticulturalists. 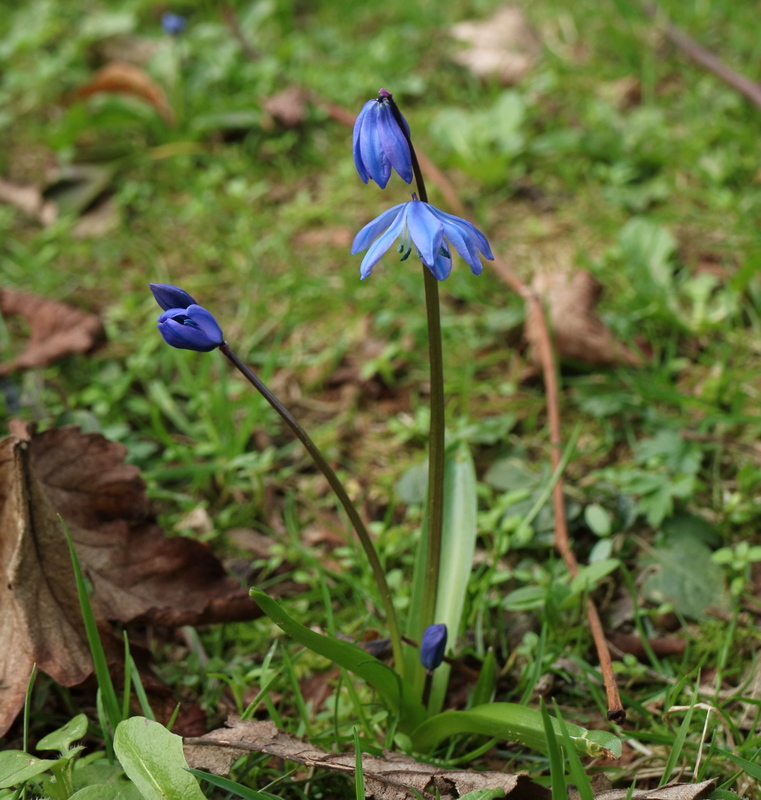 Several species of Chionodoxa and Scilla are grown in Cumbria, and some escape, and readily propagate in grassy ground on lanesides, cemeteries, and more rarely in woodland, etc. 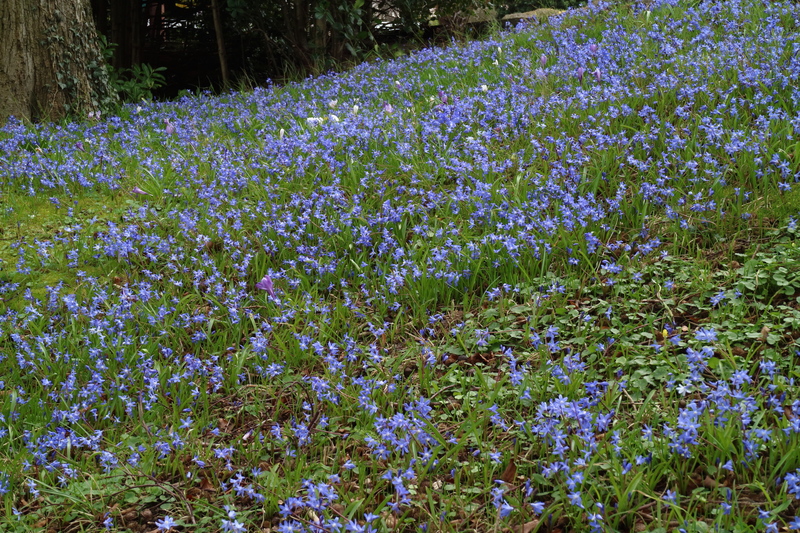 Please records these, where established away from gardens. 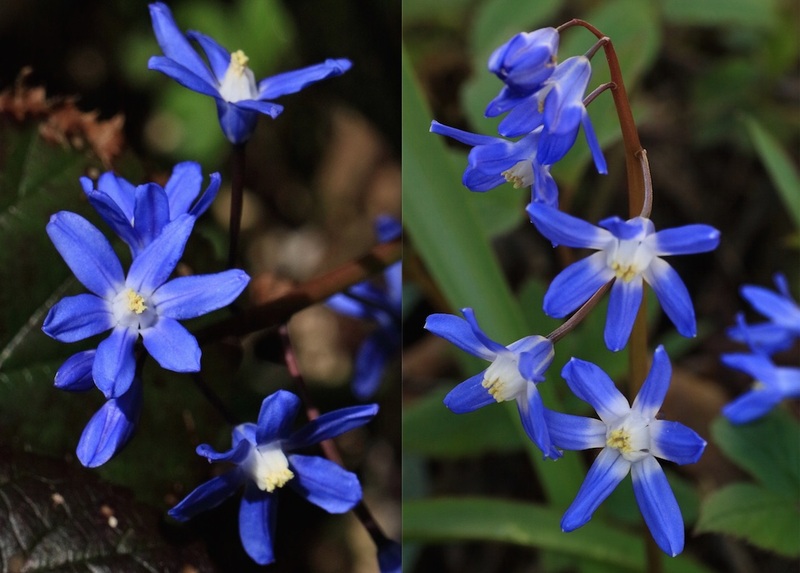 Check also: in Scilla (top picture), the tepals (‘petals’) are separate and arise below the ovary. 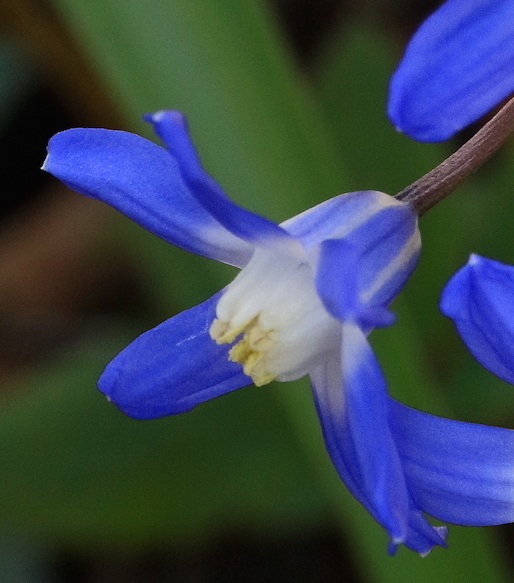 In Chionodoxa (below), the perianth forms a short tube at the base before the perianth-lobes (equivalent to the tepals in Scilla) splay out. The touching anther-filaments ‘continue’ the tube upwards. 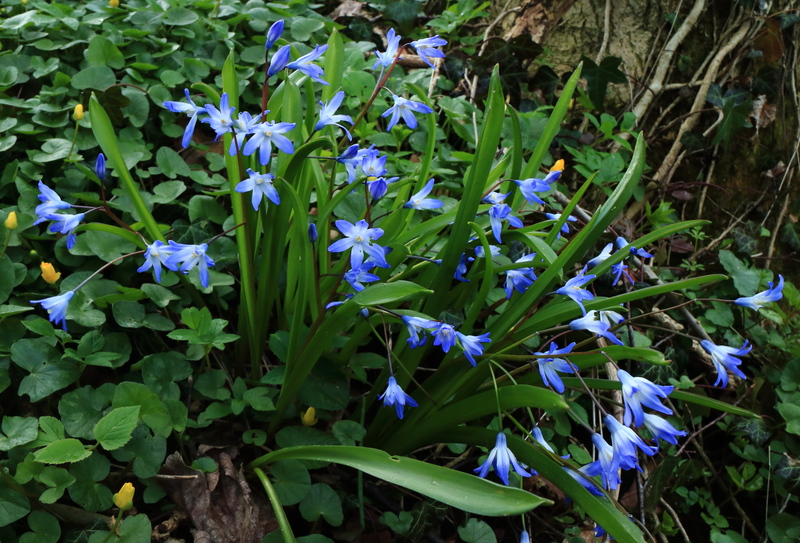 Two similar species are Scilla sardensis and Scilla forbesii. 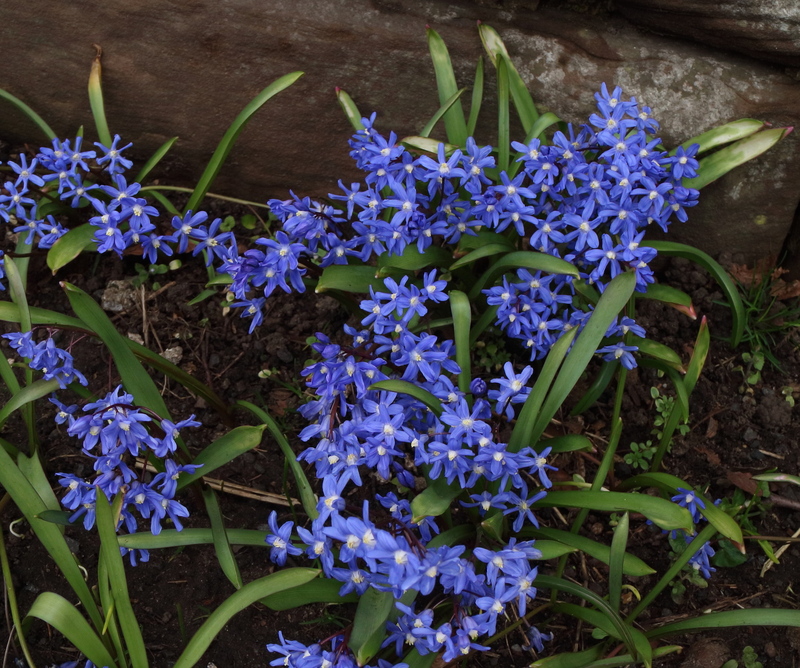 Both are a striking deep blue. In both, the filaments are white (but sometimes appearing blue by reflection from the tepals), making a contrasting white ‘eye’. 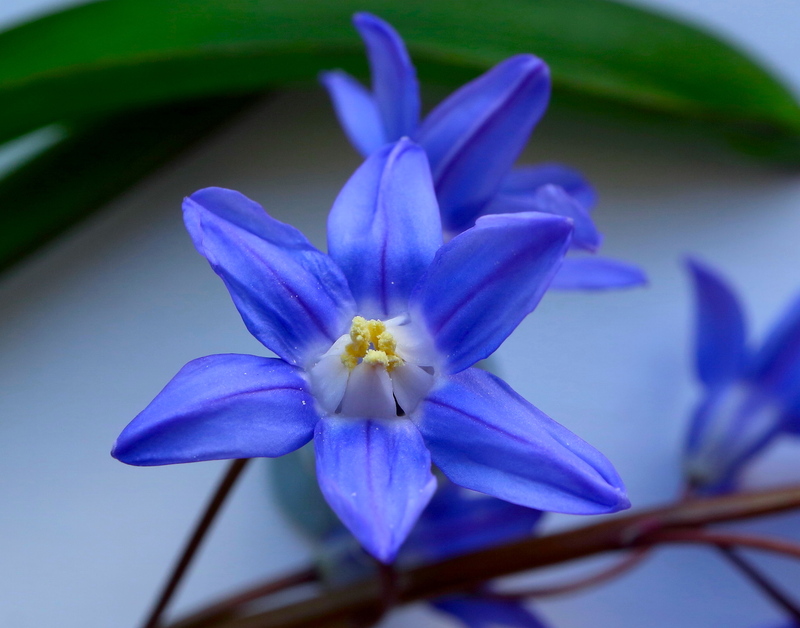 Scilla sardensis (Lesser Glory-of-the-Snow): can be the larger plant of the two, and carries up to 16 flowers per stem, though often much more stunted. 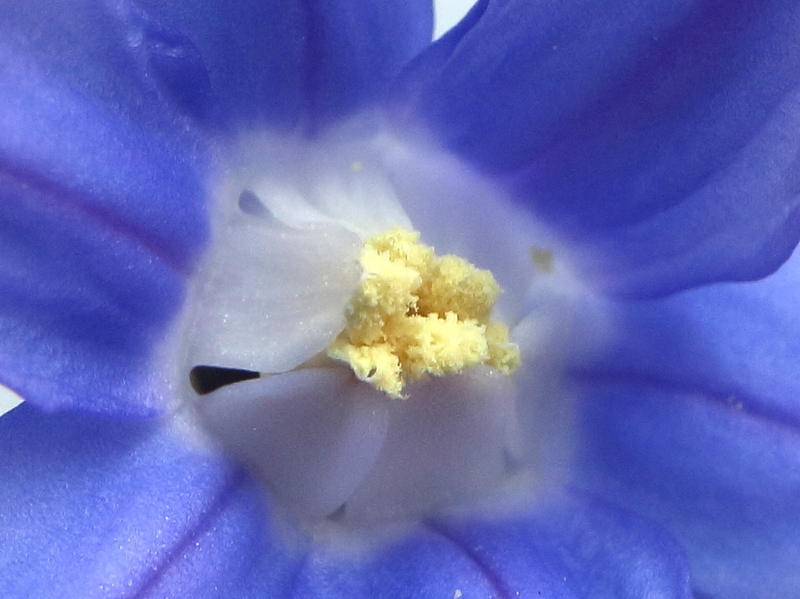 The perianth-segments are blue almost to the base, where a little white may ‘leak out’ from the anther-filaments. Perianth-lobes are typically in the range 8 to 10 mm [Stace]. Some colonies (as below) can show variation in the amounts of white, and it is rarely clear if this results from hybridisation, inherent variability, or what. 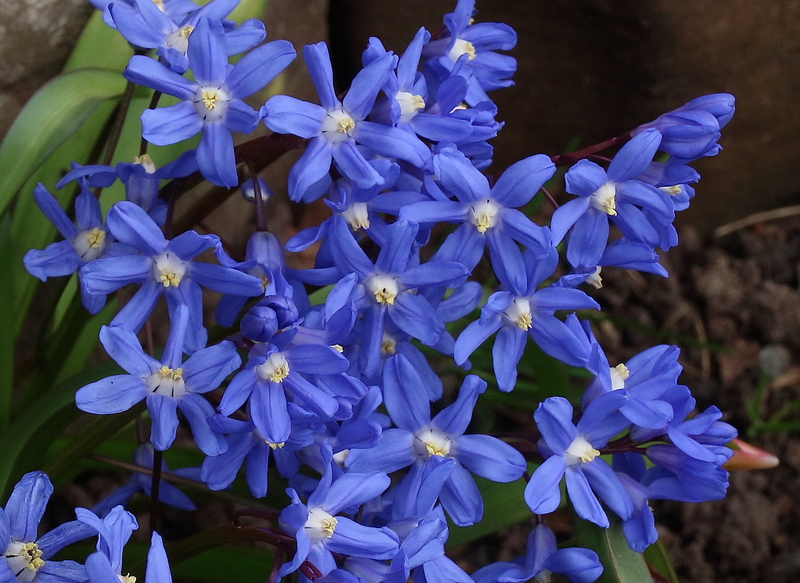 Scilla forbesii (Glory-of-the-Snow): typically has 4 to 12 flowers on a stem. The basal third or so of the perianth-lobes is strikingly white, making an obvious ‘white eye’. Perianth-lobes are typically in the range 10 to 15 mm [Stace]. 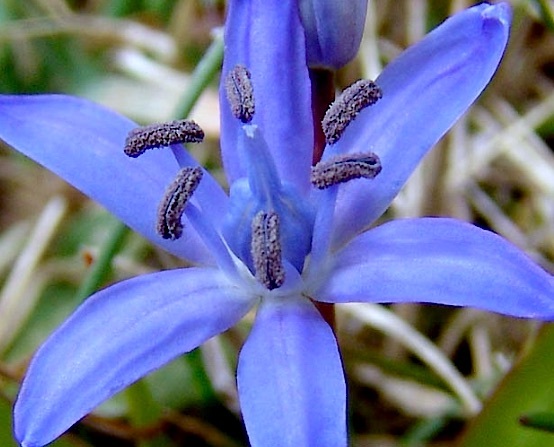 Scilla luciliae (Boissier’s Glory-of-the-Snow): The specific epithet luciliae has often been applied to related plants. 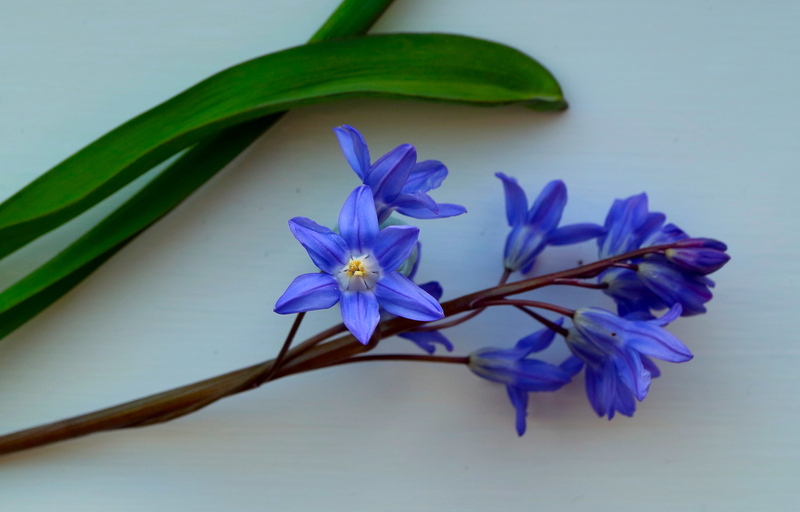 There are fewer flowers per stem – often only one or two – and these are larger (perianth-lobes 12 to 20 mm [Stace]), paler, and blue-violet rather than clear blue. They tend to be held erect. The bases of the lobes are pale, but colour gradually outwards. 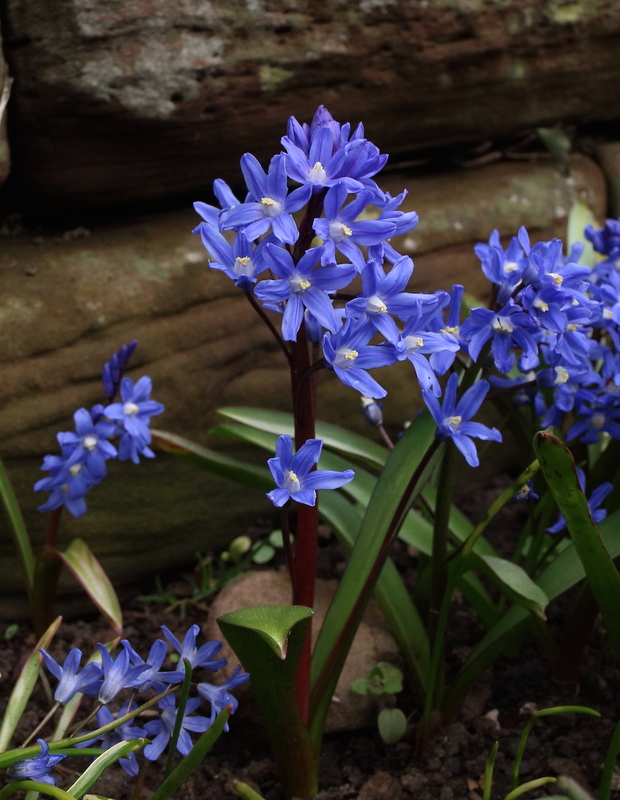 A very beautiful plant. 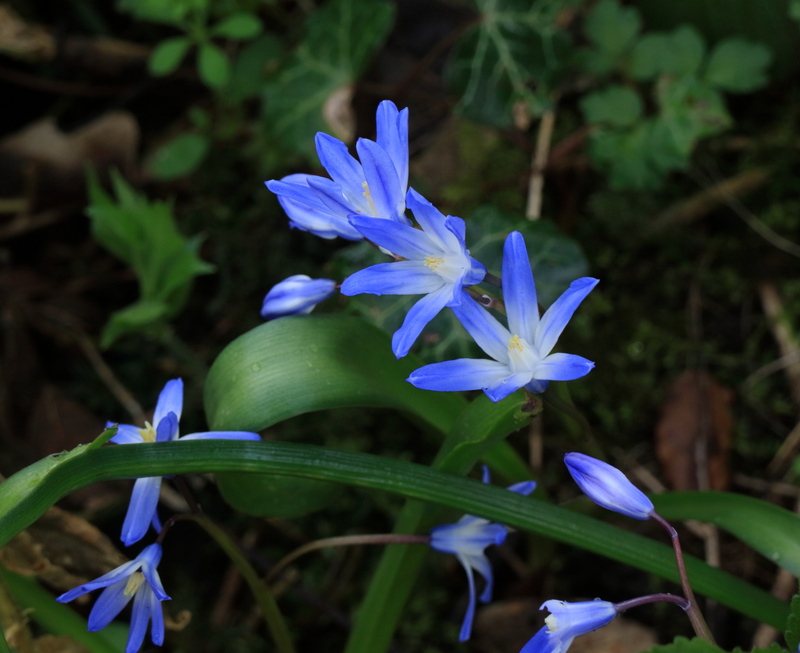 Scilla siberica (sometimes spelt sibirica) (Siberian Squill): a ‘true’ Scilla, with separate tepals arising below the ovary and no ‘tube’. 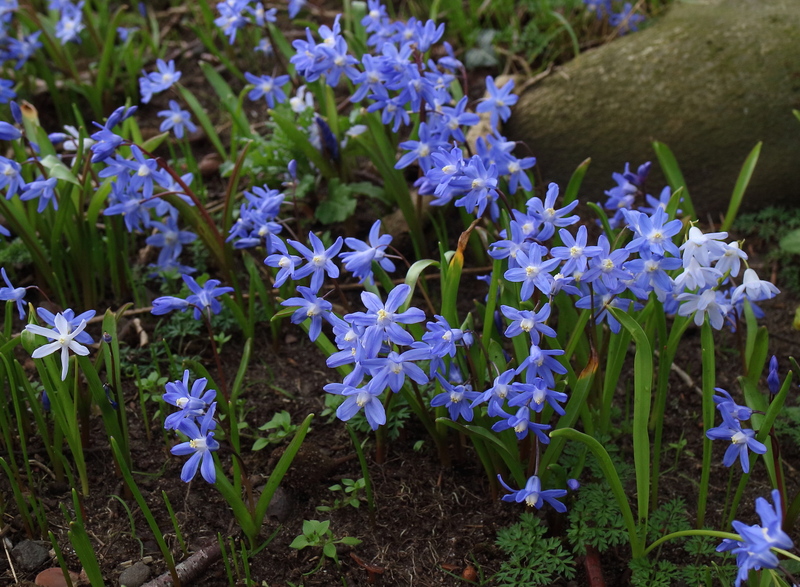 There are few flowers per stem, blue throughout, and these droop conspicuously, with the tepals also slightly cupping. Other species and hybrids which may occur escape, or be dumped, ‘in the wild’ in the county will be illustrated here if/when I receive publishable photos and details! 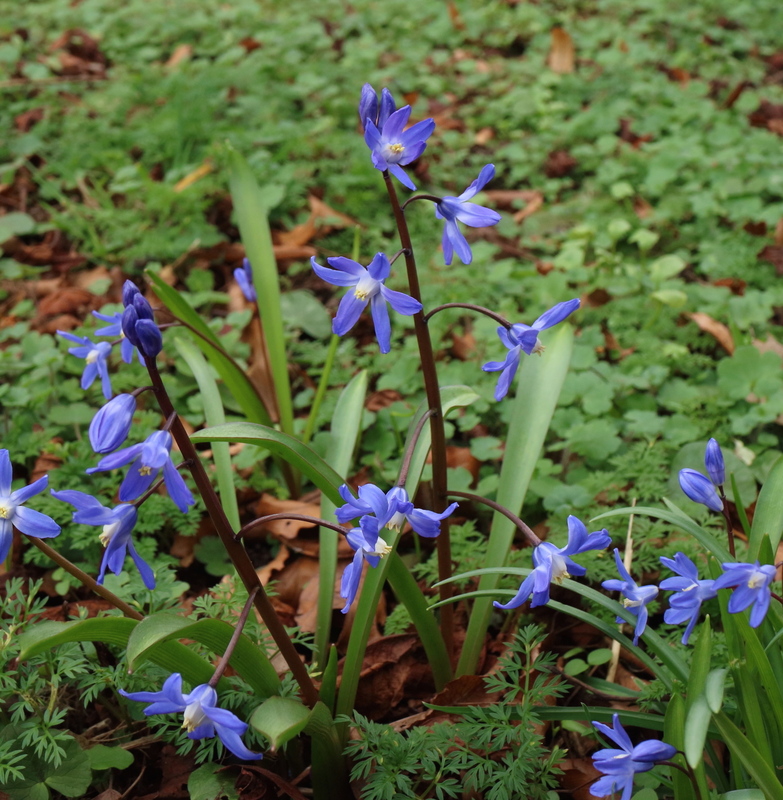 Thanks to Dave Hickson and John Parker for drawing attention to, and discussion of, some of these plants.